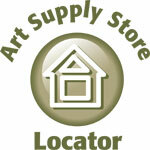 This site features art material retailers, art supply store, children's art kits and many more cheap art suppllies. The wholesale art supplies portal includes listings of mat cutter and easel suppliers. Check out starvinartist.com as that is our site.